Remember, when taking frozen motion photos, your shutter speed needs to be very fast. We are talking 1/2000 of a second. Because of that, you need to take your pictures with a lot of light so your pictures will be properly lit. On the other hand, for motion blur photos, you should have lower light because the shutter speed is slower. This will give the camera time to get proper lighting in the photos while giving enough time for the subject to move and blur. You will also want to use a tripod in most cases so you don’t shift the camera while it is capturing the image. When taking my first motion blur photo, I thought doing a light fan would be cool. It took a lot longer than I expected to get the shot I wanted. For one thing, I had to take photos at many different times of day because I was inside. I also experimented with the lights being on and off. I found that the light being on blew my exposure out. This is also where I learned the most about the varying shutter speeds. 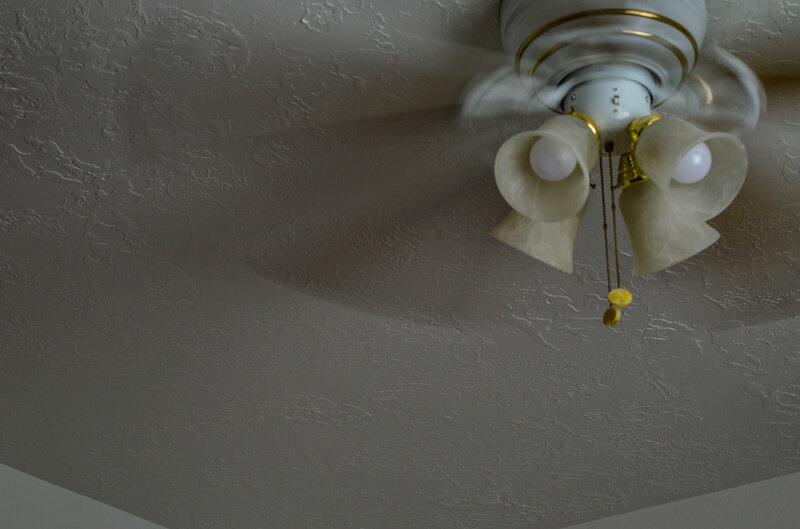 I discovered that I didn’t like how the images turned out when the fan was fully blurred. They weren’t interesting enough for me. But when I had too short of a shutter speed they wouldn’t blur. I’m glad for what I learned about shutter speed from this image. 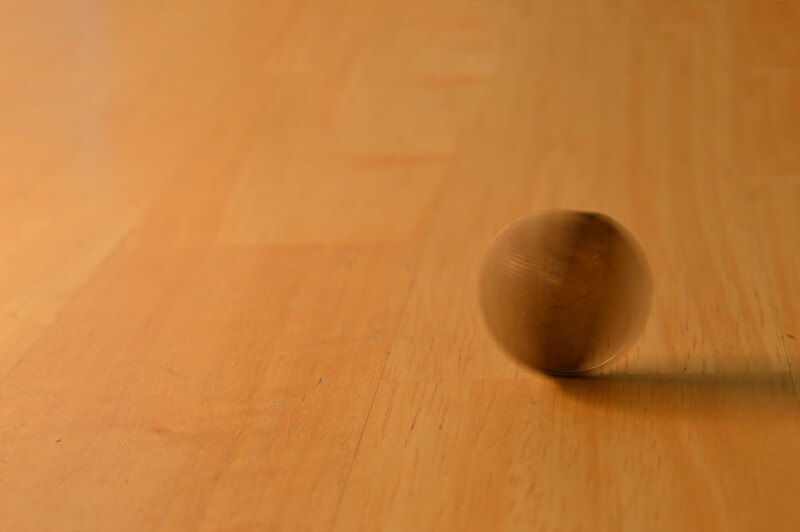 My other motion blur photo was of a spinning quarter. I once again tried various lighting, and I chose the orange lighting because it felt more artistic. I had to spin this quarter many times before I got the images I wanted. I honestly thought that frozen motion would be easier since I wouldn’t have to have my shutter open as long. I hadn’t considered that I would have to account the camera I was using’s timing. I learned I had to almost start taking the photo before it happened to capture it how I wanted. 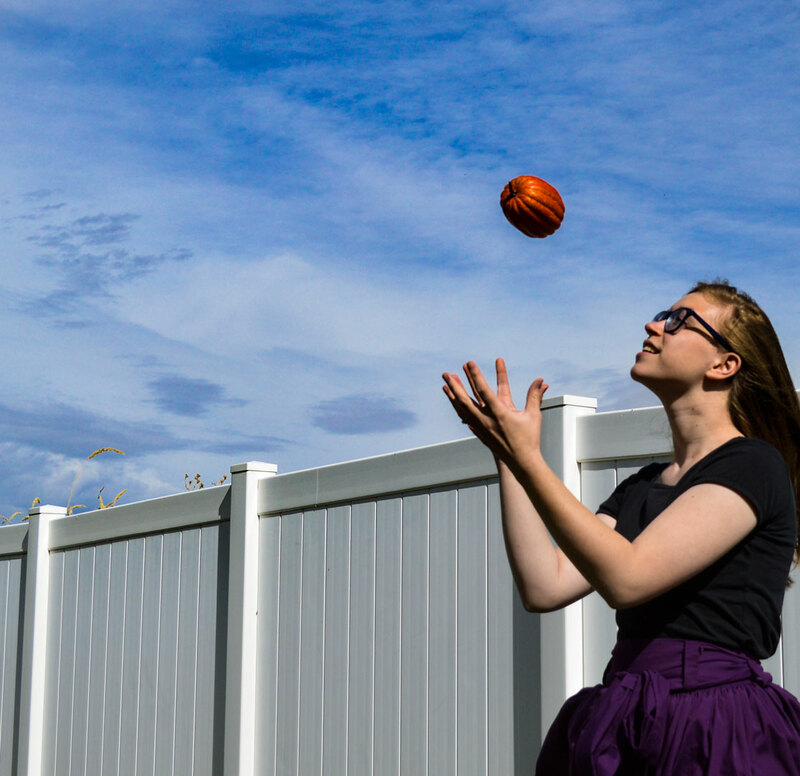 This first photo was a prime example of this, my model would throw the pumpkin in the air, but it would be back down before I could even take the picture. This won’t be the case with all cameras, but I had to adjust to it. Lastly, I wanted an organic movement for my last image, so I went to my in-laws and borrowed their dog, Tucker. This was another example of needing to be ready with the shot because Tucker was fast. 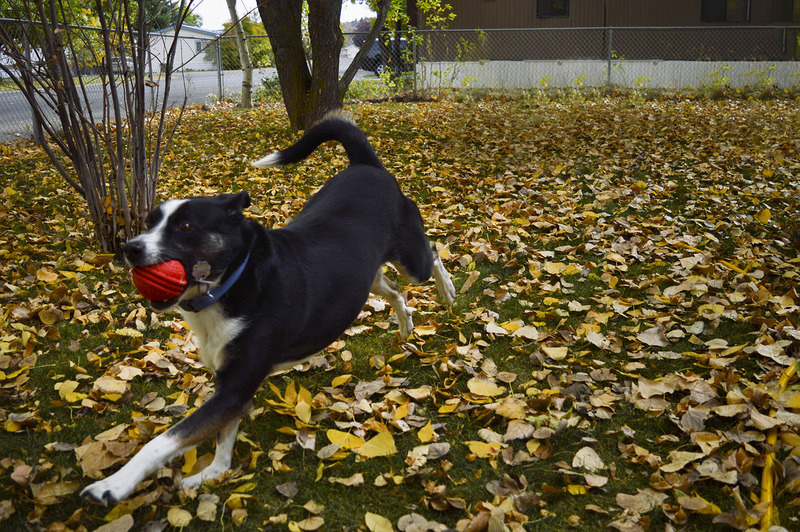 I like how his red ball contrasts with the background. I think all of your pictures are great. I love how those light bulbs are sharp and focused but the fan is blurry in the first picture. I think you did a great job!! I would also like feed back if you wanted to chech my blog out. I like your pictures a lot, I thought that you had unique ideas for your photos I haven’t seen much of in any one else’s post. I love the coin spinning, that is awesome! I love your frozen photos that you posted! The one of your dog is such a perfect use of this principle! Madison also did great frozen shots on her blog found at this link: https://madihassettblog.wordpress.com/2018/10/03/motion-project/comment-page-1/. I look forward to learning more with you this semester!